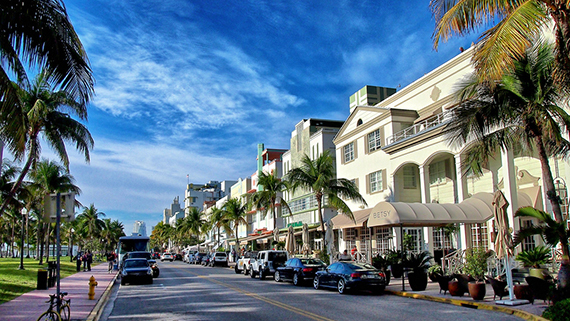 I am always looking for an excuse to go back to Miami, and fortunately, I had three work related reasons to go back to the city I once called home. First and foremost was collecting art pieces for Market Art + Design Fair in Bridgehampton, NY. One of the most exciting pieces we chose to have in the show entitled, Maybe I Could Live Like This by Chinese artists collective Liu Dao. This RGB LED screen multimedia piece was in storage in Miami, and I needed to collect it and ship it back to Indiana in time for the art fair. Built in a solid wood custom crate and weighing in at 175 lbs I can tell you that the process was not pretty on that 98-degree day. The next day I was off to an artists studio visit with my old friend Ramon Aular. He was just off the plane from Lebanon where he was working on installations and some new exciting art commissions, so we were only able to catch up before we got straight to business briefly. Ramon’s multifaceted works incorporate topological studies with the board, acrylic, gold leaf, and silver thread tying together the painted surface with the negative space around it. We developed a loose plan for an installation in our booth, and I left with a beautiful feeling that everything was coming together. The next two days were dedicated to location scouting for our Art Advisory services. Our client is currently exploring the idea of having an event pavilion during Art Basel, and we needed to find ample space for brunch, promotional events, networking, an exclusive dinner, and a concert. Thankfully I had a few connections and after rounding out the next two days with fabulous meals, private collection visits and a stop at the museum we were ready to crash by the end of the week. This legendary spot has become an outdoor museum and tourist destination growing in popularity over the last five years. 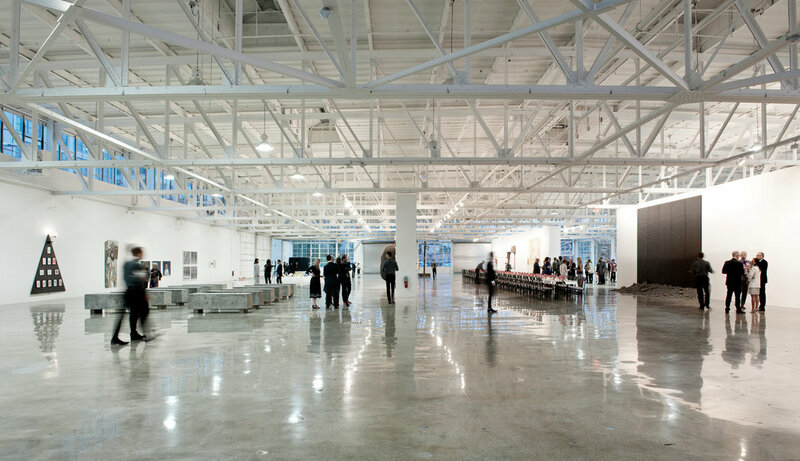 This would be an ideal location for an Art Basel party but of course, space was already rented out! We knew this spot was perfect the minute we walked in. It was right around the corner from Wynwood Walls, had indoor and outdoor venues, bars, screens, and four white walls available for painting. Time for a lunch break, so we jumped into Wynwood Kitchen right before the typical mid-day downpour. The empanadas were the highlight of the meal! I am always flooded with memories whenever I see work by Britto, so I love going back to my old stomping grounds to see his newest bodies of work. This large event space ended up being a little too big for what we needed, but the repairs to the auxiliary area look very promising. The Design District is always a glamorous space for a party, and the Palm Court did not disappoint. The view and location were fantastic, but we were hoping for a bit more walk-in traffic, so it was not ideal. With one small boost of energy left, I decided to take my guests to the iconic Ocean Drive. Typically I avoid the tourist trap at all costs, but during the summer the crowd is more subdues, and access to the kitschy bars is more fun than usual. Since the redesign in 2005, I love visiting the old stomping grounds of the Rat Pack and countless other classical celebrities. Our room was upgraded to an ocean view and the comfortable beds made for a very pleasant stay.